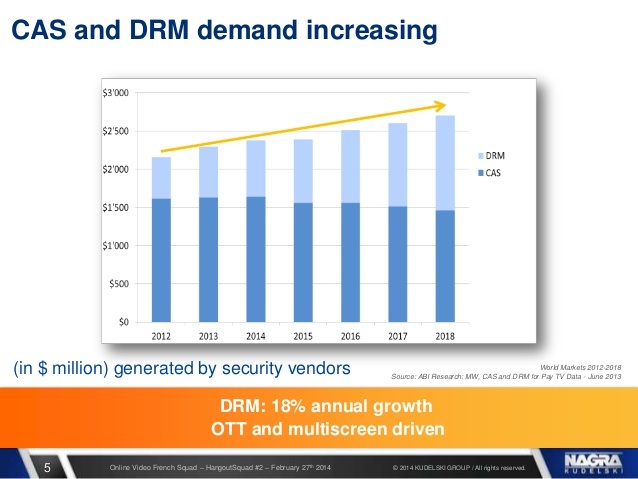 Maintaining a high level of security is essential for pay-TV operators looking to take their share of the lucrative OTT and IPTV platforms market, Conax’s EVP Products & Marketing warned yesterday. Speaking at TV Connect, Tom Jahr told the packed auditorium that many operators struggle to make money in OTT, with high investment and operational costs, as well as stiff competition, for example Netflix, HBO, GO/NOW and Viaplay, a particular challenge. Jahr stressed that consumers are expecting operators to reach their existing Smartphones and tablets, regardless of manufacturer and operations systems. Operators need to support the vast majority of active consumer devices in their market – all of which are unmanaged and bought and maintained by consumers, creating a huge number of legacy devices and operation systems. “If operators are to be truly successful in the OTT market, it is essential they secure the content within the rules of the content owners with the implantation of a strong digital rights management (DRM) solution across multiple platforms,” said Jahr.